Lifestyle change (diet and exercise) remain the first-line therapy for many common disorders, including diabetes, obesity, hypertension, and hyperlipidemia. The reported prevalence of people trying to lose weight in a community-based survey was 28.8 percent for men and 43.6 percent for women.11 A recent, systematic review of the literature regarding obesity treatment by McTigue et al. showed that behavior and counseling (diet and exercise) result in average weight loss of 3 kg to 6 kg over 12 to 60 months.12 Since dieting is associated with a high failure rate, physicians are hesitant to recommend it as a treatment for improving obesity comorbidities. However, a recent review of long-term outcomes of dietary intervention showed a 15 percent success rate among 2131 patients followed for five years.13 Interventions most likely to be successful were high intensity (contact with the participant more often than monthly) and included more than one component (i.e., diet education, exercise education, behavioral therapy). Educating the patient is the main goal of diet counseling, and effectiveness of learning is important for a patient to adhere effectively to a diet. Unfortunately, learning is quite difficult, given the complexities of nutrition information and of food choices available to a patient. Moreover, learning the healthiest food selections has never been as difficult as it is today when even renowned nutrition researchers stage debates in prominent medical journals over what types of foods should be eaten. Patients are often confused about what to eat. Despite multiple studies, clinical guidelines, and public recommendations in support of lowering dietary fat, evidence from a systematic review suggests that low-fat diets are no better than other types of weight-reducing diets in achieving and maintaining weight loss over a 12- to 18-month period.14 Recently, greater weight loss and improvement in serum lipids have been reported with a low-carbohydrate/high-fat diet (Atkins-type diet).1516 It is not surprising that patients receive streams of conflicting diet information from health professionals, friends, television, radio, newspapers, and magazines. 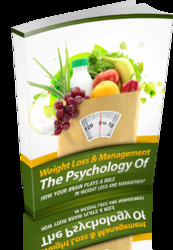 Behavioral or psychological issues may constitute some of the greatest barriers to modifying diet. With maturation, one's eating habits become ingrained as a part of one's behavior. 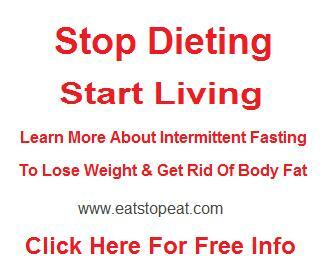 In order for a patient to change eating behaviors, the patient must be motivated to do so. Similar to other lifestyle modifications, several psychological models can be used to assess patient motivation to change and predict success, including the stages-of-change (Transtheoretical),19 health belief,20 locus of control,21 and self-efficacy22 models. For some people, food is often used to relieve stress or adapt to difficult situations. When these behaviors become maladaptive, eating disorders might result. Not surprisingly, obese people have a higher prevalence of two distinct eating disorders: binge-eating syndrome and night-eating syndrome. 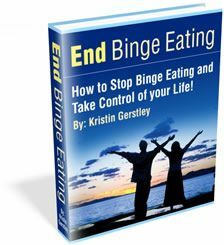 Binge eating is a feeling of loss of control while consuming an amount of food that is larger than most people would eat. Binge eating is twice as prevalent in obese patients than nonobese patients.23 Moreover, relative to obese patients who do not binge eat, binge eaters have higher BMIs, as well as higher rates of comorbid depression and anxiety.24 Among bariatric-surgery patients, the prevalence of preoperative binge eating ranges from 13 percent to 49 percent.25 Night-eating syndrome, first recognized by Stunkard in 1955, is defined by ingestion of 50 percent of the daily caloric intake after the evening meal, awakening at least once a night for three nights a week to eat, and morning anorexia. In morbidly obese patients, the prevalence of night-eating syndrome may be as high as 26 percent.26 Dieting or chronic restrained eating may be important triggers for these disorders, which often go unrecognized due to the surreptitious manner in which patients binge. These disorders are complex psychological illnesses; further studies are needed to define appropriate therapy in obese patients with these problems. In addition to eating disorders, another psychological disorder that can be a barrier to lifestyle change is depression, especially in obese patients. Obese people are particularly vulnerable to symptoms of low self-esteem and depression, and depression has been linked strongly with nonadherence.35-37 Possible contributors to low self-esteem include repeated unsuccessful weight-loss attempts, failure to measure up to the thin ideal promoted by the media, discrimination, increased physical pain, and decreased physical ability.27 Health-care providers must be aware of the possibility of depressive symptoms in obese patients, and should avoid stereotyping their patients as having personality disorders responsible for their obesity. Health professionals are not immune to discrimination of obese people28; discrimination has even been demonstrated in obesity specialists.29 Therefore, when working with obese patients, it is important for health-care providers to maintain an empathetic attitude; avoid accusatory, derogatory, or nihilistic remarks; and rather, work with the patient to identify barriers to adherence and work to overcome these barriers. Two of the factors most consistently associated with successful weight loss include attendance at follow-up sessions and self-monitoring (of dietary intake and body weight).30 Another predictor, duration of intervention, is actually derived more by comparing longer duration interventions with shorter ones, as opposed to examining factors within one intervention. These factors are reflected in many current, successful interventions, which have frequent follow-up over long durations and emphasize patient involvement in monitoring, but also in menu and food preparation.